 t Brandle, Norma 1917 2011 Herman & Anna Marten? 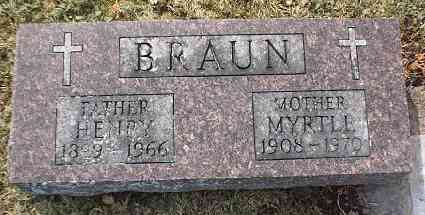 x Brooks, Nancy M. 12-Aug-1848 17-May-1916 Samuel E.
x Brown, Charles 1857 27-Feb-1927 Anna Ewalt 1894? 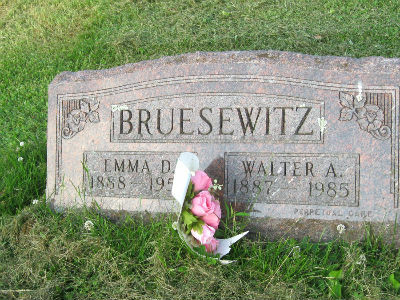 x Bruesewitz, Raymond J. 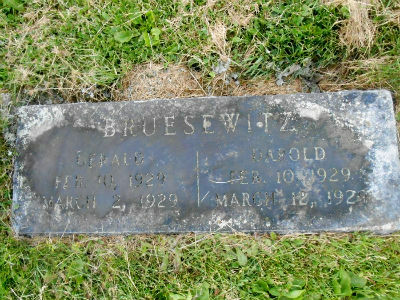 12-Jul-1926 17-Aug-1946 WWII-Pvt Co C 88th Div, died in Italy single Fred & Nellie (Stowell) Bruesewitz? 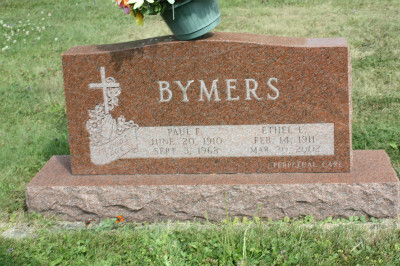 x Bux, Thomas H. 1838 1917 Harriet A.
tx Bymers, Edna E. "Betty" 13-Jan-1923 5-Dec-1995 Harold F. Bymers? 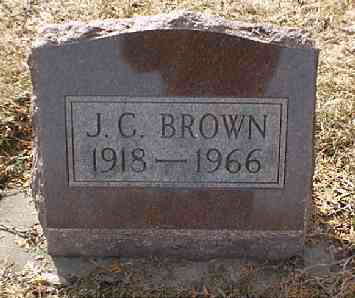 x Bymers, Eleanor L. 27-Sep-1915 2-Jul-1992 Joseph J. Bymers?